Saturday, May 11, 2019 at 2 p.m.
Watch the recorded video of the CSB Commencement Ceremony. The weekend of May 11, 2019, will be a very special time for your family. It marks the beginning of a new and exciting stage in the lives of our 2019 graduates. 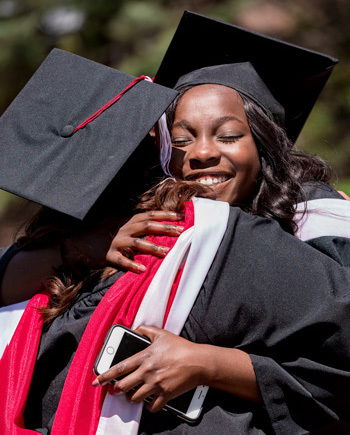 We hope this site will be your Commencement resource and that the entire weekend will be a memorable one for you, your family members, and friends. The location of the ceremony is the Haehn Campus Center. 9:30 a.m. or 11 a.m.
Read the commencement news release. Watch the live stream of the ceremony.